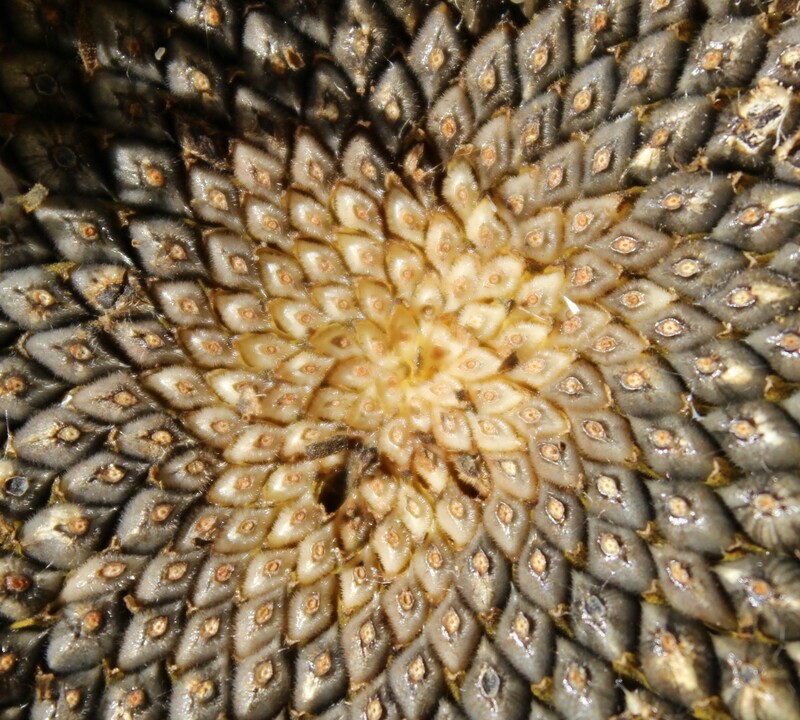 I have started this post with an image of a sunflower head as I think it fits well with my current activity of bringing all my ideas together in a harmonious way and looking to nature for inspiration. To approach the ‘Tweak’ stage of my garden design, I revisited OBREDIMET. Boundaries– I looked at what did not work last year and needed changing. I looked at my available time, energy, assistance, resources and money to make changes. I considered the changing needs of my family, how they use the garden and what they like to eat. Resources– I again looked at my blog posts planning the garden and read over my notes from last year. I looked at the flip-side boundaries and focussed on the positives of time, energy, assistance, resources and money I had available to devote to the design. I looked at the seeds I had left over from previous years. I looked at the garden vouchers I was given for Christmas. I looked at what I could propagate from existing plants in my garden. Evaluation – I brought all of the above together and considered what my priorities were. I set myself aims for my garden in 2015. These are detailed at the bottom of this post. Maintain – I will create a maintenance plan. Evaluation – I will keep notes on the effectiveness of the design like I did during 2014 in order to evaluate it against my aims at the end of the growing season. 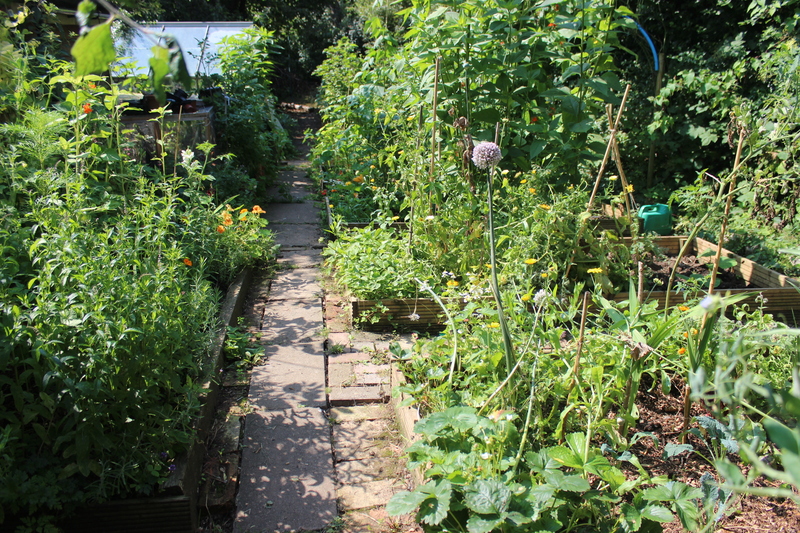 Tweak – I will tweak the garden again next year and continue this cycle year after year. The overlay shows new planting plans for the annual vegetable beds and more focus put onto Forest garden areas. I looked back to my notes about which crops were best for the needs of my family and the environment of my garden. I have excluded lots of crops that don’t do well in my garden and plan to focus on a more limited range of crops this year. I have chosen crops we like to eat a lot of and those that taste better fresh from the garden. I also plan to use varieties that are not easily to purchase in the shops. I also plan to develop the forest garden areas. This image shows the original design and overlay combined to show how the new and old designs work together. 1. To develop the forest garden areas. I plan to re-read my books on Forest gardening and plan these areas carefully to be as self-sustaining as possible. 2. To focus more on perennial crops I have a lot of demands on my time this coming year which will take me away from the garden, so one aim for this year is to plant less annuals and focus more on perennials that will need less input from me to do well. 3. To ensure the chickens are safe and well cared for. To develop a new enclosed run area using the space behind the greenhouse that is currently neglected. A fox has moved into the area and took two of my chickens recently, so I am being far more wary about allowing them to free-range. 4. To experiment with new varieties of crops that I know do well in my garden. 5. To grow more edible flowers and salad crops. 6. To maintain and develop the good work I have started in the garden, especially with composting, mulching and water capture. This entry was posted in Uncategorized and tagged Apply self regulation and accept feedback, chickens, Creatively use and respond to change, family, flowers, food from my garden, Forest gardens, Fox, Least change for greatest effect, My garden design, OBREDIMET, Observe and interact, Permaculture, Permaculture Diploma, Photography, Planning for real, plants, Principles, trees, Tweaks by emilycrofton. Bookmark the permalink.